WASHINGTON -- Bureaucrats in Ferguson, Missouri, responding to requests under the state's Sunshine Act to turn over government files about the fatal shooting of 18-year-old Michael Brown, are charging nearly 10 times the cost of some of their own employees' salaries before they will agree to release any records. The move discourages journalists and civil rights groups from investigating the shooting and its aftermath. Meanwhile, eight more people have been arrested following another night of protests in Ferguson. According to CBS St. Louis affiliate KMOV-TV, police said many of Sunday's arrests were on allegations of either not following orders from police or agitating the crowd. The city has demanded high fees to produce copies of records that, under Missouri law, it could give away free if it determined the material was in the public's interest to see. Instead, in some cases, the city has demanded high fees with little explanation or cost breakdown. It billed The Associated Press $135 an hour - for nearly a day's work - merely to retrieve a handful of email accounts since the shooting. That fee compares with an entry-level, hourly salary of $13.90 in the city clerk's office, and it didn't include costs to review the emails or release them. Price-gouging for government files is one way that local, state and federal agencies have responded to requests for potentially embarrassing information they may not want released. Open records laws are designed to give the public access to government records at little or no cost, and have historically exposed waste, wrongdoing and corruption. "The first line of defense is to make the requester go away," said Rick Blum, who coordinates the Sunshine in Government Initiative, a coalition of media groups that advocates for open government. "Charging exorbitant fees to simply cut and paste is a popular tactic." 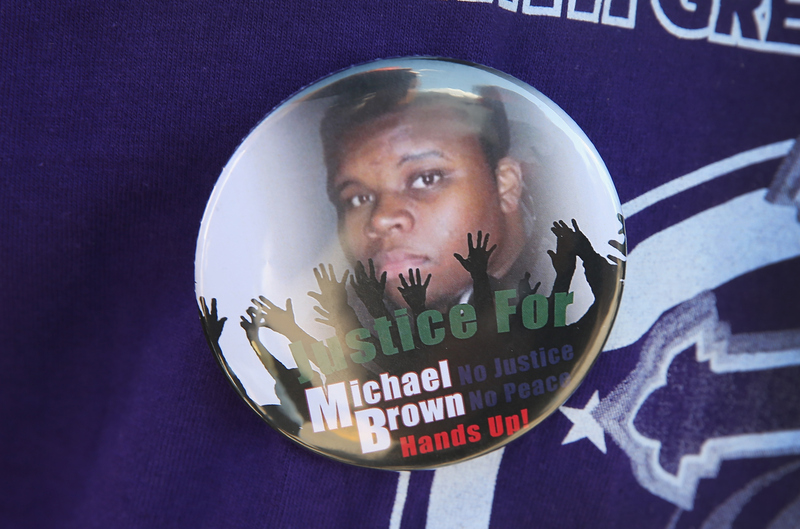 Since Brown's death and ensuing protests, news organizations, nonprofit groups and everyday citizens have submitted records requests to Ferguson officials, asking for police reports, records about Brown and the personnel files of Officer Darren Wilson, who shot Brown Aug. 9. Organizations like the website Buzzfeed were told they'd have to pay unspecified thousands of dollars for emails and memos about Ferguson's traffic-citation policies and changes to local elections. The Washington Post said Ferguson wanted no less than $200 for its requests. A city spokeswoman referred inquiries about public records requests to the city's attorney, Stephanie Karr, who declined to respond to repeated interview requests from the AP since earlier this month. Some states provide public records for free or little cost, while others like Missouri can require fees that "result in the lowest charges for search, research and duplication." The AP asked for a fee waiver because it argued the records would serve the public interest, as the law allows, but that request was denied. In late August, the AP asked for copies of several police officials' emails and text messages, including those belonging to Wilson and Chief Thomas Jackson. The AP sought those records to reveal the city's behind-the-scenes response to the shooting and public protests. Ferguson told the AP it wanted nearly $2,000 to pay a consulting firm for up to 16 hours of work to retrieve messages on its own email system, a practice that information technology experts call unnecessary. The firm, St. Louis-based Acumen Consulting, wouldn't comment specifically on Ferguson's contract, but said the search could be more complicated and require technicians to examine tape backups. The American Civil Liberties Union of Missouri filed a public records lawsuit days after the shooting for Brown-related police reports, but ultimately received a censored report that omitted officers' names and other details usually released in such documents. Jonathan Groves, president of the Missouri Sunshine Coalition and a former daily journalist, said that while public agencies can legally charge reasonable fees for records, an unfettered Sunshine Law is nonetheless an important tool "so that we have faith in what the government is doing." Other governments also have demanded spectacular fees. During the 2008 presidential campaign, for instance, news organizations asked for emails belonging to former Alaska Gov. Sarah Palin, the former Republican vice presidential nominee. The Anchorage Press said officials at first wanted $6,500 in search fees, leading the newspaper to withdraw its request. Thousands of pages of those emails were ultimately provided to news organizations for about $725 in copying charges.